﻿ Psychic readings. 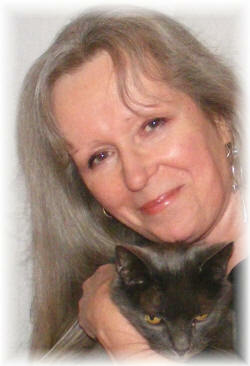 Crystal Green Psychic Consultant and Therapist and Tarot Reader Scotland UK. Live Psychic Readings from Our Team. Free online and email tarot and phone consultations, Psyscic. Pyschic. Live Phone Readings with Crystal, Scotlands best online teams. Morayshire. Crystal Green Metaphysician. Love spells and Email Readings. Free Horoscopes Tarotscope. This site is mobile friendly. Live Psychic Readings from Our Phone Team! 2019. "Dear Crystal. I wanted to email feedback to you and say just how invaluable and accurate your readings have been for me overall..the last is no exception! I feel you are definitely my mystic of choice and I have no doubt I will be back again." Special Psychic Email Reading Offer £20! Experience how a really good and relevant a focused professional psychic reading can be either by email or personal and face to face with Crystal Green. Crystal is once again taking limited bookings for after April this year, for 1-2-1 personal readings. Psychic Readings. Past-Life. Spells. Absent & Personal Healing all here at Silvermoon! New page from Crystal. Keeping well & Looking good! By now you will have heard from many quarters that 2019 is going to be a challenging and ‘interesting’ year for most of us. So here at Silvermoon we thought it would be good to do a general projection for the four quarters of the year to give some idea of what we could expect and perhaps to use as a very loosely constructed guide… So here we go… Please bear in mind that this is a rough guide and in no way should you take it as ‘set in stone’. Spring. The card that came to my hand for Spring this year is The Hanging Man. This card indicates a time of waiting and a time of indecision, also within this card is the feeling of ‘sacrifice’ or having to give something up to gain something else… So what we are seeing here is delay… Indecision… Confusion and possibly even conflict. This could manifest in feeling obliged to look for new employment or radically alter the way you are doing things at the present time. There will be generally a feeling of dissatisfaction in many areas of life… The best way forward here? Take each day as it comes, focus on the things close to your heart and make sure you have the love and support of those close to you… We will get through this difficult time! Summer. The card for summer is the Three Of Swords. All swords in the sacred tarot are difficult, some more so than others and the three of swords is not the happiest card in the world! This card focuses on Interference… Lack of balance… Inability to progress… Enforced change. So during the summer months of 2019 we need to hang on to what we actually have. Trying to push outwards may not bring advantage in the long-term, and what actual advantage we do get may simply cause more confusion and turmoil. This should be a time of consolidation more than anything else, we often have more assets than we really think about, for example: sometimes we feel the need to buy something new and then later find that we have something that would be equably suitable already up in the loft that we had totally forgotten about… Apply this lesson to many parts of you life and you will see what I’m saying here, think very carefully about what you spend money on this year and ask yourself do I really need it? Explore all options before splashing out! As the summer progresses there may be ways forward but we need to go really cautiously at this time and consider all our options! Autumn. The card for autumn is the Ten Of Swords. (This just gets better and better!) And this card tells us: Things can’t get any worse! We have literally scraped the bottom of the barrel… The card represents the inability to move forward and more interestingly, the end of a bad time! So yes in some ways this card is actually more positive than it appears on the face of it, this card is saying to us “This is as hard as it will get… The tide will soon turn, and so we must be ready for it”. After this card comes new ideas and new opportunities… so as the autumn creeps on, there will be a lightening of the oppression that has covered this in the earlier part of this year and perhaps… Just perhaps we will be able to see the light at the end of the tunnel. Winter. 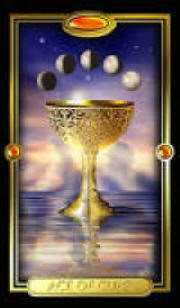 And here we have The Ace of cups! The tide has turned and for many of us we are once again on safe ground. Many of the worse situations of the past months have either been resolved or have initiated changes that have taken us to a different place in our lives. If we have been cautious and not tried to fight uncertain situations, and simply consolidated and planned for the future then we will be raring to go! The Ace of cups represents: overall balance and happiness throughout the different areas of your life. 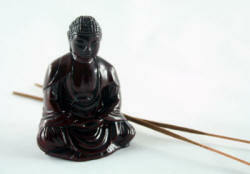 It also represents Abundance, satisfaction and overall success! There is a feeling of new beginnings and re-creation and above all love! Conclusion. No matter how we look at this it is going to be a very difficult year for most and yet it seems as if when we get towards the end of the year we will have turned the corner… But I could not leave this prediction for 2019 here without taking one special card to represent the year that we have just entered. Hello everyone! Happy New Year… May 2019 be a special one for you all! As I told you in my last Blog I had decided to take up again giving personal one-to-one psychic readings. I suppose I have realised over the past two and half years of not doing them that what we principally need in our lives is balance, and so this is me striving to find the balance between the artwork-craftwork and psychic... work all of which I love to do. Since writing to you or in my last Blog, many of my clients of the past have again contacted me for appointments, and it is heart-warming to think that after 2 ½ years they have not forgotten me and wish to come back. But then my reason for coming back partly is because I love my work, and partly because we are going through such confusing and difficult times that perhaps people like me are needed at this time more than they have been for a long time. If I can help then I will! So here I am at the beginning of a New Year with a beautiful new pack of Cirro Marchetti Gilded Tarot cards. A new wooden pendulum and a new resolve! Although I shall not be taking as many readings as I have in the past, (and I certainly won’t be doing groups or demonstrations of any form). If you need a reading from me and you are local then just be prepared to perhaps have to book a little further ahead… I thought at first that I would only open this offer again to clients from the past but I have had so many new clients recently that I shall open it to everyone! There will always be cancellations and re-sheduals, so it’s always worth asking about this too. read more about it all on the 1-2-1 readings page. I find that after 2 ½ years rest I am raring to go! Oh and also, I am offering healing if needed was my readings, this will be in a very informal manner as I have always felt that asking people to lie on a bed to receive what is a very spiritual means of healing did not sit easy with me, so now I give healing whilst the client is sitting in a chair in front of me and I can move around them freely. Perhaps we should all bear in mind that with the right intention all healing simply flows from the giver to the receiver, there should be no need for special clothes or special beds or anything else of that sort, once the intention is there... then the exchange will take place! I have also been asked recently if I will consider doing past life sessions using the Mystery of the 13 keys which many of you know I created some years ago, so this is also a possibility but as a separate appointment as it will take too long to do both readings together. The price of this will also be £40 which also can include healing if necessary. What else can I talk to you about? Certainly not BREXIT! As I write this Parliament is about to discuss and vote on whether or not we shall leave with a deal or without a deal… What can I say? It would seem to be in the lap of the gods and whatever happens I dare say there will be repercussions and it will take some time to reach any sort of normality in our lives again. So what do I advise?? Expect and hope for the best, and if it’s the worst we must be prepared to deal with it. The main thing is to stay positive as far as I can see. So that is it for now, you will see that I have called this the ‘Winter Blog’. So obviously the next one will be the Spring Blog closely followed by Summer Blog and then Autumn Blog. With blessings and boundless love as always! The Fool. Meaning: The Wise Fool represents new beginnings, having faith in the future, being inexperienced, not knowing what to expect, having beginner's luck, improvisation and believing in the universe. It's that feeling of being in a circus high up in the air between two swings... Swinging off one letting go... and then catching the swing in front of you!... The fool represents the bit in the middle where there is nothing between you and the ground beneath, but that's not quite right is it? Because the fool knows that there is a safety net of some sort and that he will not come to harm... so we can say the fool is also' Blind Faith'. He knows something that we do not know and he knows that all will be well in the end. So whatever happens remember the fool...oh and the net! Get a phone reading from my Fabulous Top Psychics! Meet them on their page just call the numbers below! Call Now!!! New caller offer if you pay by credit/debit card, 29p/min for the first 10 minutes! New caller offer if you pay by credit/debit card, 59c/min for the first 10 minutes! Read the full tarot scope here! plus your standard network rate. A maximum of two messages may be received. and to heal the past. For the start of new projects. 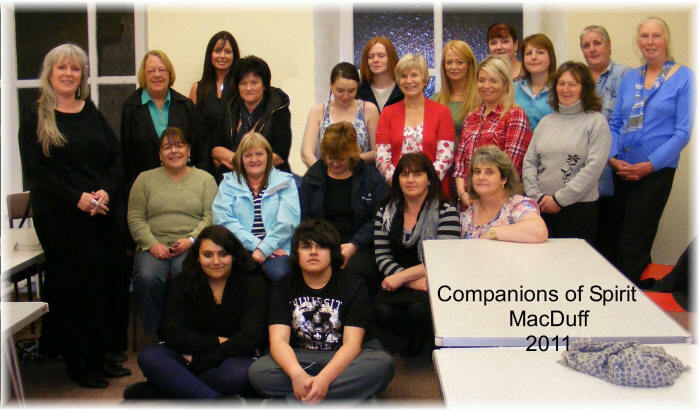 COMPANIONS OF SPIRIT MEETING MACDUFF 2011 MEETING IN FRIENDSHIP LOVE AND HARMONY! 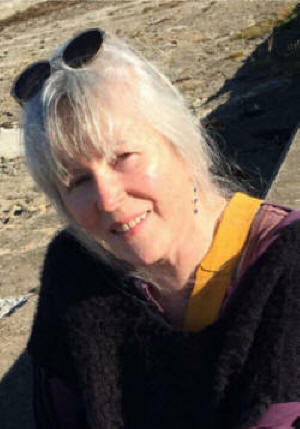 www.psychicwise.com psychicwise a psychic site in which you can use PayPal to pay for most readings instead of usual credit card system also book psychic & Tarot readings from here! www.alba-lovespells.eu . (alba being the old word for Scotland!) this is Lily psychic site with loads of information on 'world of the witch' plus spell work! also Psychic & Tarot Readings from Lily. www.madeinmoray.co.uk Beautiful hand crafted goods made in the North East of Scotland! This site is being re constructed at the moment to include other small craft businesses as a local directory. www.spinning-lady.co.uk Home Spun wool spinning site. available for lessons and demonstrations locally and hand spun yarn to buy at some local events and shops in moray. The information that you send us is strictly used only whilst dealing with your order, and is never stored by us, or shared with, or sold to, anybody outside Silvermoon. Beauty links Lifestyle Links Psychic Links 1. Psychic Links 2. Psychic Links 3.